Echipa AVmall incearca sa mentina acuratetea informatiilor din acesta prezentare. Cu toate acestea, in anumite cazuri, pot aparea mici inadvertente pentru a caror semnalare va suntem recunoscatori. Ne poti contacta oricand pentru a clarifica eventuale nelamuriri. Nu uita sa mentionezi in corespondenta ta numele exact al produsul. Fotografia produsului Boxa Portabila Denon Envaya Mini DSB-150BT are caracter informativ si poate sa difere de produsul real sau sa contina accesorii neincluse in pachetul standard al produsului. Specificatiile tehnice pot contine erori de operare si pot fi schimbate fara instiintare prealabila de catre producator, neconstituind obligativitate contractuala. Built with smaller rooms in mind, the Envaya Mini will fill your bathroom or home office with sound, while remaining small enough to easily carry to the garden, park or anywhere else you desire. Envaya Mini is IP67 waterproof and dustproof, which means its hardy enough to survive an accidental dunk in the pool or bath, without missing a beat. 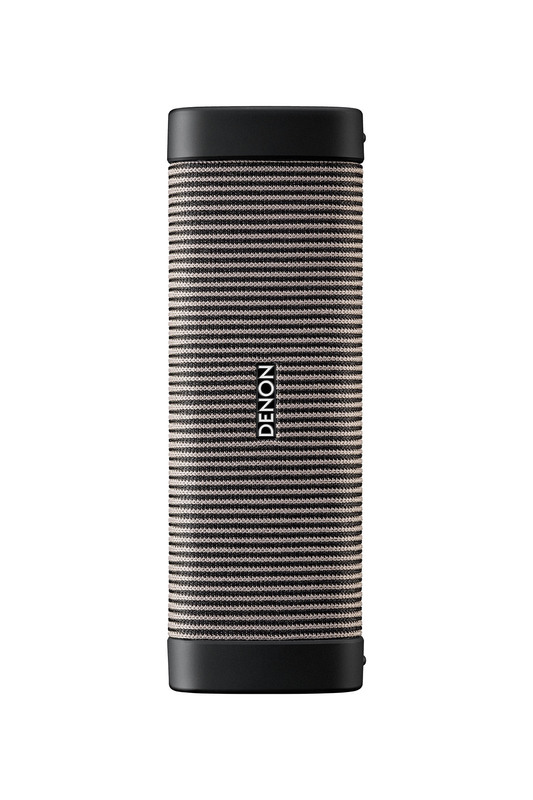 Tuned by Denon′s class leading audio engineers, each speaker has been painstakingly crafted to achieve an unmatched musical performance. Equipped with the latest aptXtm Bluetooth, allowing you to stream all your favourite tunes at CD-like sound quality. Even better, to bolster the already impressive soundstage of the speakers, you can easily connect any two envaya products and stereo pair them allowing you to play music simultaneously to fill larger spaces. Simple connectivity and Siri activation allows you completely hassle free control from your smartphone. Extraordinary sound quality is further improved due to the inclusion of advance audio processing technology, bigger size drivers and more powerful amplifier modules. The sound produced is above and beyond anything that conventional compact speaker systems deliver thanks to ‘oversized′ proprietary drivers paired with a large passive bass radiator that fit neatly into this speaker′s compact design. Performance is finely tuned with a range of advanced, onboard, patented signal-processing technologies that ‘intelligently′ provide the best possible sound performance from any connected source. 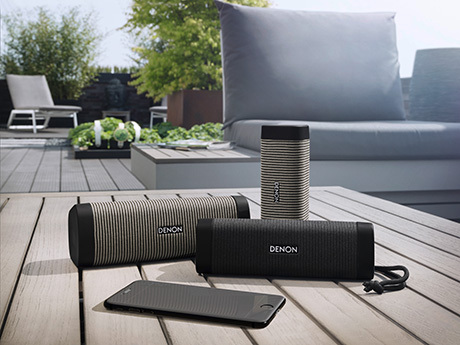 The audio tuning is done by our audio experts taking care of the Denon sound philosophy. The Envaya features the high quality Bluetooth® aptX® Low Latency standard offering CD-like audio streaming over Bluetooth, minimizing latency and ‘lipsync′ issues when supported by the streaming device. Looking for more power or just want to have a real stereo setup? No problem. Just pair two of the Envaya′s to play together as a stereo set. One speaker will take over the left channel, the other the right. Nu sunt recenzii pentru Boxa Portabila Denon Envaya Mini DSB-150BT. Fii primul care scrie una!